Get ready to "eat!" FOX has renewed "The Four: Battle For Stardom" for a second season starting this Summer. “THE FOUR is truly a next-generation show,” said Rob Wade, President, Alternative Series & Specials, Fox Broadcasting Company. 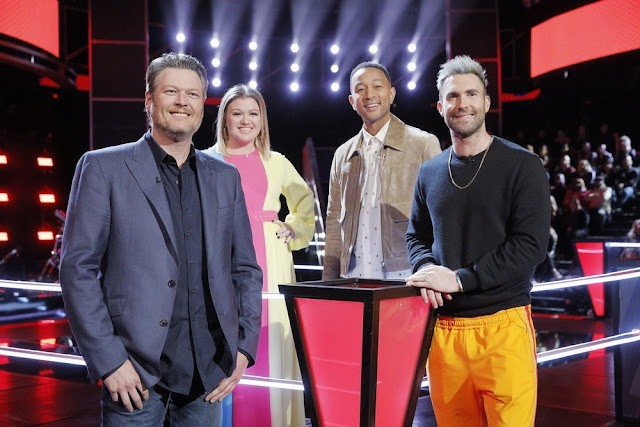 The show showcases four fierce recording artists, spanning all music genres, have fought to defend their coveted seats in front of a panel of industry experts: Sean “Diddy” Combs, DJ Khaled and Meghan Trainor. Fergie has served as host, guiding the contestants, while they have battled it out against new recording artists determined to take their spots in the competition. At stake is the ultimate prize: The panel of industry experts become key players on the winner’s team. This season’s elite group of star-makers will help shepherd the winner’s career to help make him or her a breakout star. Additionally, as part of this season’s grand prize, the winner will be named an iHeartRadio “On The Verge” artist. Catch the season finale of "The Four Battle For Stardom" airing tonight (8:00-10:00 PM ET/PT) on FOX, the FOUR – Candice Boyd, Vincint Cannady, Evvie McKinney and Zhavia – will battle each other to be named the winner.